You can get years out of your golf cart batteries by following proper maintenance and charging procedures. But no matter how well you take care of them, sooner or later they will need replacing. When that time comes why not call someone who specializes in golf cart battery replacement. With one call we come direct to you and within 45 minutes we will have a brand new set of golf cart batteries installed and your charger checked out to make sure it's working properly. ● Replace cables with new heavy duty 4 gauge cables. 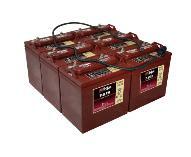 Call today and get the best deal on golf cart batteries in the Southwest. SaddleBrooke Ranch, SaddleBrooke, Highlands at Dove Mountain, Sun City Vistoso, Stone Canyon, Continental Ranch, Tucson Starr Pass, Rancho Del Lago, Dorado Country Club, Tucson Estates, El Conquistador, Desert Pueblo, Voyager Rv Resort, Rincon Country East, Rincon Country West, And Many More. 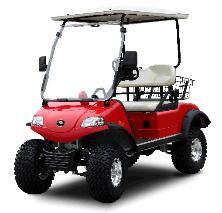 Golf Cart Batteries and Custom Accessories delivered and installed at your location. Home or Business.